The patient, who recently arrived from Qatar is being treated in a London intensive care unit for the illness. This is the second laboratory-confirmed case of the novel coronavirus in a human, the first was seen in an elderly man in Saudi Arabia who later died. The virus was isolated from sputum of a male patient, aged 60 years old, presenting with pneumonia associated with acute renal failure. The virus RNA was also tested at a lab in the Netherlands, which was confirmed to be a new member of the beta group of coronona viruses, closely related to bat coronaviruses. There is a variety of coronaviruses and these include viruses causing common cold symptoms and other types causing the much more serious illness of SARS. The HPA is advising health professionals how manage patients infected with the new virus to include strict respiratory isolation and any staff caring for them must wear full personal protective equipment – FFP3 respirator (staff should be fit tested), goggles, gown and gloves. 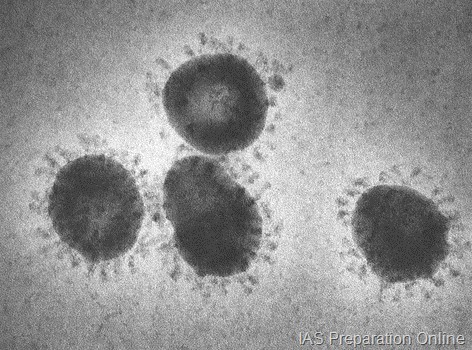 The novel coronavirus is believed to have an incubation period of up to seven days. Symptoms include fever, cough, or other respiratory symptoms.